Forex: How Do Foreign Currency Exchanges Affect Your Small Business? 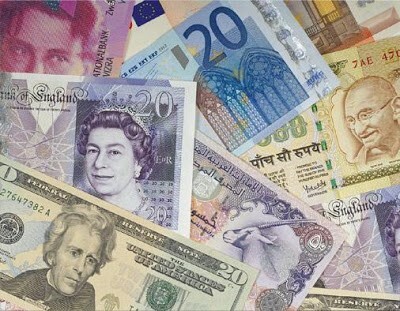 Home Running Your Business Forex: How Do Foreign Currency Exchanges Affect Your Small Business? Small businesses conducting international operations routinely enlist the assistance of companies which offer international currency exchange and international payments. These brokers, sometimes called forex companies, deal with continuously fluctuating markets. That’s because currency exchange rates are inherently susceptible to a vast array of variables, including interest rates, inflation, GDP data, the unemployment rate, and sentiment. Furthermore, geopolitical uncertainty—general elections, referendums, political turmoil—have the capacity to severely undermine international trade by making currencies relatively unstable from time to time. For these reasons, businesses need to adopt a strategic approach to international payments these days. Whether you are importing by purchasing raw materials from abroad or exporting your goods and services to foreign countries, foreign exchange rates are important to your small business. How Much of an Effect Do Forex Rates Have on Small Businesses? As an example, consider a UK business exporting to the United States on June 23, 2016. On that date, the exchange rate was around 1.4866 (GBP/USD). Fast-forward to June 24, 2016, and the cable was trading at 1.3694 at the close of trade. In practical terms, this can best be described as follows: a UK business exporting £10,000 to the US would receive the equivalent of $14,866.00 on June 23, but only $13,694 a day later. The difference is $1,172 in just 24 hours. Now imagine if that transaction had been worth £100,000. That would be the equivalent of $11,720 lost in only a single day. Therefore, businesses must pay close attention to currency conversion rates. Had that small business conducted its operations through traditional banks, the costs would be exorbitant. Purchasing foreign currency through a traditional bank is disingenuous on many levels. For starters, banks charge higher rates to clients than you see posted online. In a hypothetical example, a small business owner from Europe might decide to sell up and relocate to Canada. Were that business owner to go through a traditional bank, the fees would be as much as 3.5% one-way, or 7% round-trip. The small business owner might sell his or her operations for €500,000 and lose €17,500 on the transfer. The business owner’s costs in this hypothetical example are high. That’s because the interbank rate is not the rate that small businesses pay when transferring money internationally. While that rate could be considered a true exchange rate, it simply does not apply because of banks’ fees, commissions, and hidden costs. For this reason, banks are unattractive to small businesses when it comes to international trade. Nowadays, smart owners of small and medium enterprises (SMEs) choose to go with alternative non-bank financial institutions to transfer currency abroad. These include options like OFX , a large cap Australian-based company. As one of the specialist international payments providers, this corporate forex enterprise deals with clients around the world. It facilitates the transfer of funds from one country to another through each of its regional subsidiaries. These include operations in New Zealand, Canada, the United States, and the United Kingdom. Unlike banks, the services offered by corporate forex enterprises are far more efficient, cost-effective and customer friendly. OFX has already processed more than $84 billion since inception in 2001. Small businesses use hedging as a strategy to protect against sudden unexpected movements in international currency markets. All the world’s central banks purchase foreign currency and store it in their vaults. They do this to prop up the value of the home currency, by buying and selling Forex on the free market. When a country sells foreign currency, this decreases the value of that currency and increases the value of the local currency. When a country buys foreign currency, this depresses the local currency and inflates the foreign currency. Businesses are turning to tried and trusted corporate Forex brokers like Currencies Direct over traditional banks. Plus, they can hedge against currency price fluctuations by behaving in a similar fashion. For example, a business that has operations with the United States should purchase US currency ahead of time, before the Federal Reserve Bank raises interest rates. This would hedge against weaknesses in the local currency. Hedging is a widely used tool by traders around the world, and it safeguards business operations by mitigating the effects of uncertainty and volatility.